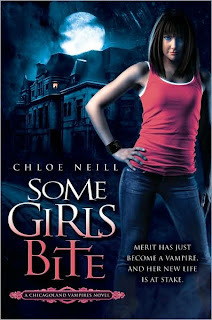 I am pleased to announce that author Chloe Neill will be guest posting here this Friday, April 17 to talk about her new urban fantasy novel Some Girls Bite which is the first in a new series called the Chicagoland Vampires. Some Girls Bite was just released April 7 and I haven't even had a chance to read my copy yet! 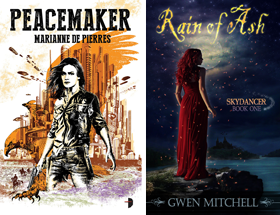 You will be able to post questions for Chloe and one lucky poster will have the chance to win an autographed copy of the book that she is generously providing. So stop by Friday to learn more about this new series which if you have read the blurb below promises to be a lot of fun. The next book in the series Friday Night Bites is coming in October. You can visit Chloe's website here and blog here. I read Some Girls Bite last week and really enjoyed it. I'm looking forward to Friday Night Bites. Thanks, Doug. I'm looking forward to dropping by! I'll be dropping back by of Friday. The book sounds great, vamps living in Chicago, what could be better! Thanks Anonymous its great to start with a thumbs up! Chloe looking forward to your post and reading the book. Dang but it didn't arrive today from Chapters. Going to be cutting it close here. See you then Dottie. Feel free to post a question on Friday for Chloe! Oh how cool! This sounds like something I would really love. :) Looking forward to the guest post! Lady_tink Glad you made it!